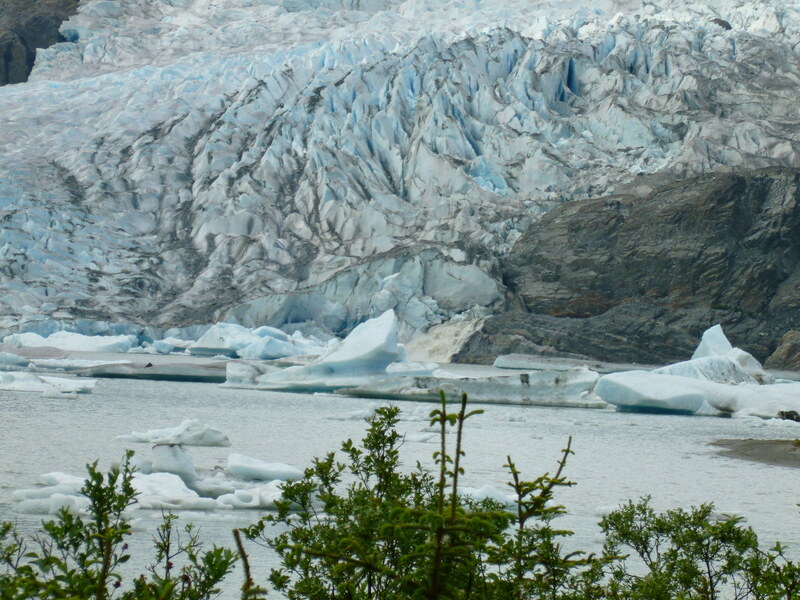 On the way back from Auke Bay we stopped at Mendenhall Glacier. 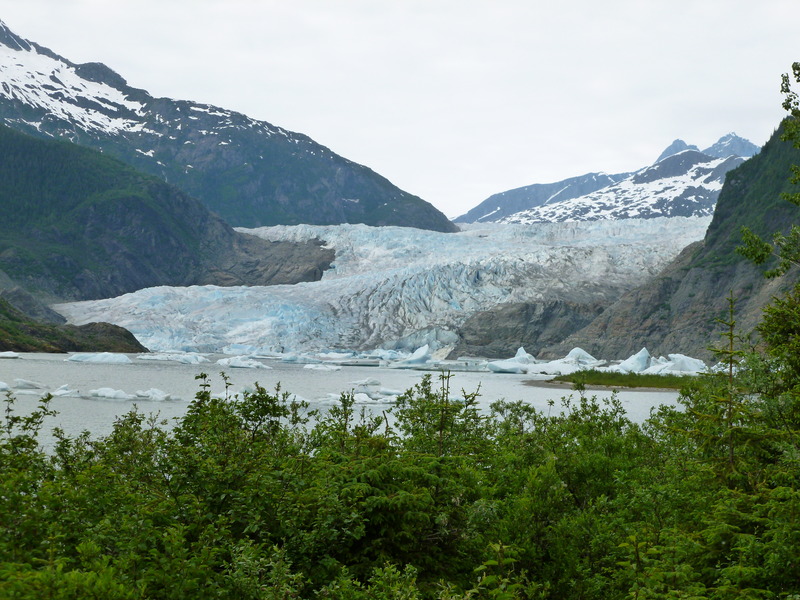 This is one of the most accessible glaciers only a few hundred feet from the parking lot and visitors center. 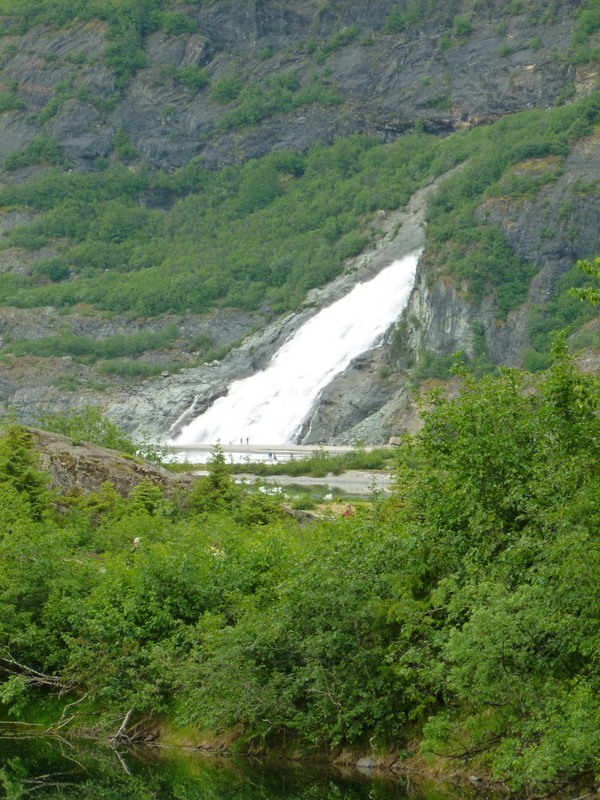 The easy access does not take away from the beauty. 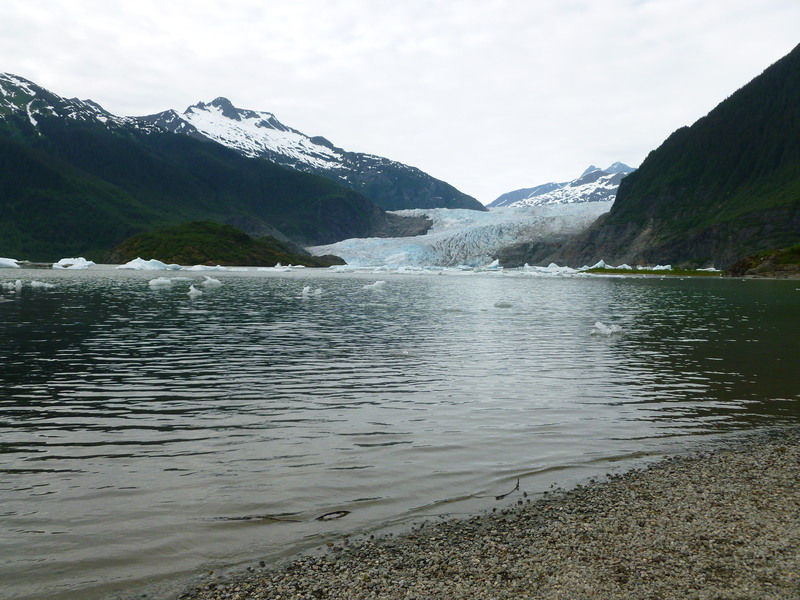 As the glacier retreats, it leaves behind a grey "glacial flour" that is the minerals captured as the glacier forms.